Last year I purchased a subscription to Reading Eggs. I had seen a lot of adverts and information on Reading Eggs and I wanted to give it a go. For those unfamiliar with Reading Eggs it helps children learn to read and is suitable from 3 years old. Reading Eggs is an online program and you can often find a months trial for free. It comprises of games for children to play and stories for them to interact with. My eldest was first to try Reading Eggs and it soon became known as 'Sam Game'. 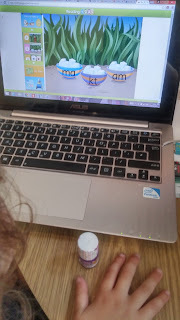 Reading Eggs has an ant called Sam who takes you through each activity and it is for this reason the girls ask to play Sam Game. My eldest took to the game really quickly and soon started completing each task at great pace. Clicking letters, helping Birds to fly across the jungle and composing story books. Each one captured her attention and I think it is part of the reason she has a passion for reading and writing. My youngest would sit and watch her sister play Sam game, and it never really dawned on me how much she was absorbing. When she started school this year she started asking to play Sam game herself, and as she was asking I willing let her play. She has taken to the game really well and has started recognising letters when we are out and in the books we read. I really think Reading Eggs is a good supportive tool to use with children, however I let the girls choose when they want to play. I don't want to force them to do it as I think it works much better when it comes from their request and they do request to play. 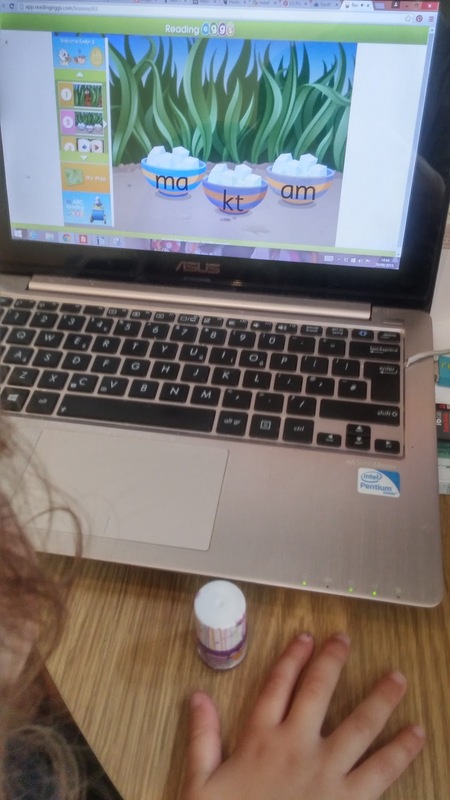 If you are looking for a tool to aid learning then Reading Eggs will do this in a fun and supportive way.